1. All Market Europe Limited (Vita Coco) (“AME”) Sachet Sampling (the “Sampling”) is open to residents of the United Kingdom, which comprises England, Northern Ireland, Scotland and Wales. For the avoidance of doubt the Isle of Man and the Channel Islands are not part of the United Kingdom for these purposes. Employees or agents of All Market Europe Limited (Vita Coco), anyone professionally connected to the sampling, members of the employees’, agents’ or anyone professionally connected to the samplings’ immediate families (including any live-in partner or household member) are not eligible. 2. In order to obtain a sample, registrants must be sixteen (16) years old or older. 3. To submit a request for a sample, registrants must have access to the internet and click on the appropriate link to register. While there is no purchase necessary to obtain a sample, AME will not be liable to reimburse any expenses incurred while registering. Any registration requests which are incomplete, incorrect, incomprehensible or not received by AME or are made by any means other than via the appropriate link on www.swearbyit.com will be void. 4. By ticking the relevant box, registrants will automatically be enrolled to receive AME’s #swearbyit newsletter for exclusive Vita Coco content, competitions and giveaways. 5. The Sampling begins in September 2015 and is valid whilst stocks last. Interpretation of these timings is solely at the discretion of AME. 6. Only one sample per registrant, while supplies last. 7. AME reserves the right to reject any registrants for any reason at its sole and absolute discretion. 8. By registering for a sample, registrants represent and warrant that all information submitted by them is true, current and complete (if and to the extent applicable). 9. In all cases, AME’s decision is final and no correspondence between AME and any registrant will occur. All registrants must comply with any directions given to them by AME including, but not limited to, any and all relevant laws, rules and regulations. 10. By enrolling in the Sampling, all participants will be deemed to have accepted and be bound by these terms and conditions. All registration instructions form part of these terms and conditions. 11. 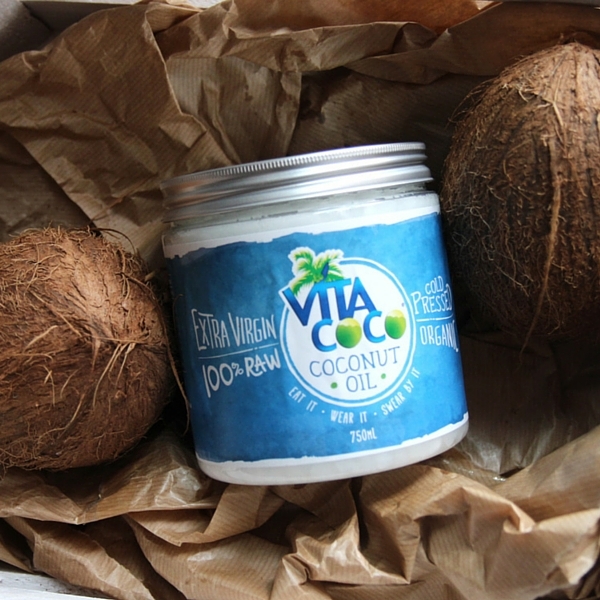 The sample is 2 x 10ml sachets of Vita Coco Coconut Oil, which will be sent to the registrant by Royal Mail 2nd class delivery within one (1) month of registration. 12. Samples are non-negotiable, non-transferable and non-refundable. No cash alternative is available for any sample. In the event of unforeseen circumstances, AME reserves the right to discontinue the sending of samples, with or without notice to registrants. 13. Registrant information will not be publicly disseminated by AME. 14. Neither AME nor its servants, agents and any other party or organisation involved in the management, promotion or administration of the Sampling or their agents or subsidiaries involved in the Sampling accept any liability or responsibility for registration requests not received nor any liability for technical errors or communication failures in networks and/or internet access. 15. In the event of unforeseen circumstances beyond AME’s reasonable control, AME reserves the right to cancel, terminate, modify or suspend the Sampling or these terms and conditions, either in whole or in part, with or without notice. 16. To the extent permitted by applicable law, AME’s liability under or in connection with the Sampling or these terms and conditions shall be limited to the value of the sample in question. 17. To the extent permitted by applicable law, AME shall not be liable under or in connection with these terms and conditions or the Sampling for any indirect, special or consequential cost, expense, loss or damage suffered by a participant even if such cost, expense, loss or damage was reasonably foreseeable or might reasonably have been contemplated by the participant or AME and whether arising from breach of contract, tort, negligence, breach of statutory duty or otherwise. 18. The invalidity or unenforceability of any provision of these terms and conditions shall not affect the validity or enforceability of any other provision. In the event that any provision is determined to be invalid or otherwise unenforceable or illegal by a court of competent jurisdiction, these terms and conditions shall otherwise remain in effect and shall be construed in accordance with their terms as if the invalid or illegal provision were not contained herein. 19. The Sampling and these terms and conditions are governed by English Law and the courts of England and Wales shall have exclusive jurisdiction over any dispute arising out of or in connection with this promotion. 20. The Sampling is run by AME, Hydration Station, 2nd Floor, 55 Charterhouse Street, London EC1M 6HA. Any registration requests sent to this address will not be valid.